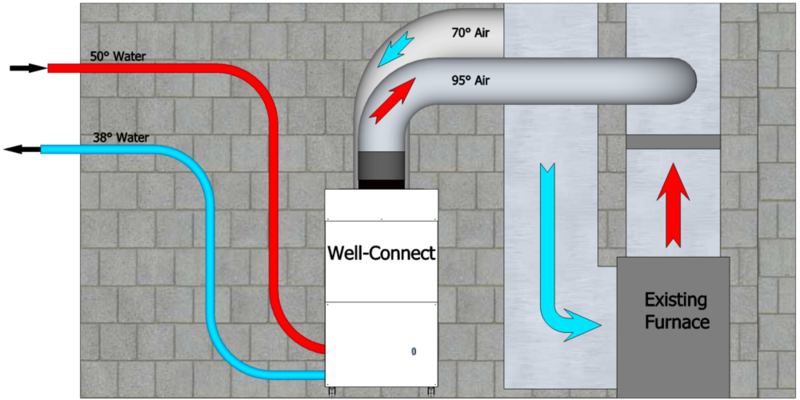 Well-Connect captures the free, renewable energy from your well water then concentrates it to heat and cool your home. There is an abundance of clean, renewable energy in groundwater and your well is already tapped into it. Well-Connect’s hybrid approach turns your well into your own free, clean energy source to dramatically reduce your energy costs, improve the comfort of your home and help the environment.